Discover Nepal - Blue Mountain Travels and Tours (P.) Ltd. Warm greetings from Nepal; one of the most extraordinary and diverse country on the earth, boasting 8 of the world’s tallest mountains, lush jungles, charming people and a rich culture & heritage. It’s the land of geographic contrast, scenic grandeur and cultural diversity. It’s landscapes range from tropical plains to stupendous snow heights. The lowlands is rich in tropical forest and wildlife. The middle hills is the home of numerous ethnic groups each with distinct language and culture. The northern mountains include 8 peaks that exceed 8,000 meters in height including Mt. Everest. In Nepal enchantment is everywhere, be it on the shoulders of high mountains, on terraced ridges that resemble stairways to the sky, in the bustle of the cities, on the calm or rushing rivers, or in the forest full of wildlife, flowers and bird song. Discover the secrets of the Himalayan Kingdoms of Nepal. Travel back in time to a land filled with myths, magic and miracles. We welcome you to experience the exciting endless range of natural panorama, historical places, stone-wood-carved temples, ever-exciting wild-life reserves, majestic mountains, wild rushing rivers, varieties of flora & faunas, bird sanctuaries. It embrace diverse landscapes with varying ethnic communities and culture, the unlimited breath-taking Himalayan ranges, the rolling glaciers, the brave Gurkhas, the legendary Sherpas and the entire Nepali community-even with warm hospitality and smile in their face. We have something for everyone – a tourist or a trekker, a river runner or a wildlife enthusiast, a poet or an artist, a writer or a scholar or anyone in search of his/ her personal Shangri-La. These are only the very beginning. Let us know how we can help you make your dreams come true. 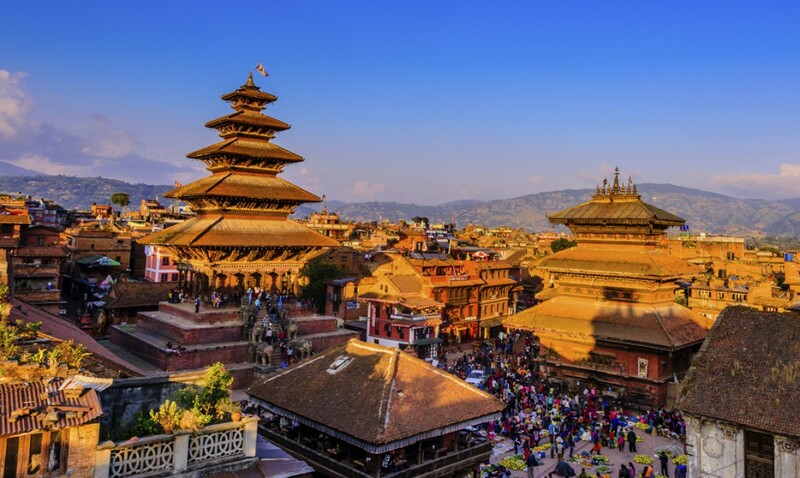 Blue Mountain Travels & Tours has the resources and the know-how to make sure that your journey to Nepal is as complete, as easy and as unique as your dreams.